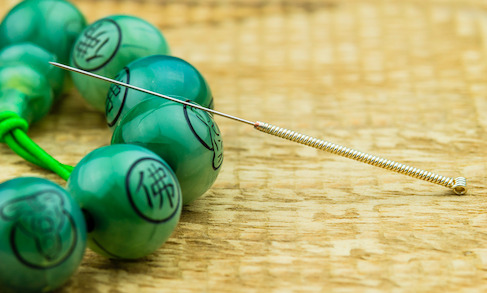 Acupuncture is a traditional Chinese medicine with roots going back over 8,000 years. While western physicians once largely dismissed this practice, modern health care professionals have come to recognize its many benefits. From headaches to anxiety, a variety of ailments can be helped by acupuncture, and many doctors now recommend it as part of broader treatment plans. The first known book of Chinese medicine dates back to the first century B.C. Known as The Yellow Emperor’s Classic of Internal Medicine, it is seen as the first official record of acupuncture. This text still has direct links to all modern styles of acupuncture currently practiced. While the terminology is different, it reflects many now-familiar elements of biomedical science — like the negative impact of stress on the immune system. In the early 20th century, ancient practices like acupuncture fell out of fashion in China, as western traditions gained popularity. Western-trained doctors even tried to initiate a ban on traditional medicines. On March 17, 1929, the National Medical Assembly in Shanghai rejected this attempt. This date became recognized and celebrated as Chinese Doctor’s Day. Traditional Chinese medicine saw a resurgence following the Long March of 1934-35. This historic 6,000-mile trek of Chinese communists shifted the party’s revolutionary base from southeastern to northwestern China and solidified Mao Zedong’s leadership. Thanks to a lack of drugs and anesthetics, many sick and wounded soldiers were treated using traditional methods during this time. Acupuncture got another boost with the start of the People’s Republic of China in 1948. With the establishment of the PRC, traditional techniques were embraced and encouraged. By the late 1970s, the country’s hospitals and research departments were actively practicing traditional techniques, including acupuncture, alongside modern methods. By now, acupuncture is practiced all over the world. Multiple studies have confirmed its efficacy in helping to treat everything from depressive disorders during pregnancy to postoperative nausea and vomiting. If you’re interested in this treatment method, don’t be shy about asking your primary care physician. They can let you know whether it’s an option for you and refer you to a qualified practitioner in your area. Interested in acupuncture in Groton, CT? The professionals at Advanced Back and Neck Care Center can help. Their team includes certified chiropractors, a naturopathic physician, and a licensed acupuncturist. You can find out more about their diverse services online, and call (860) 448-2225 to make an appointment.